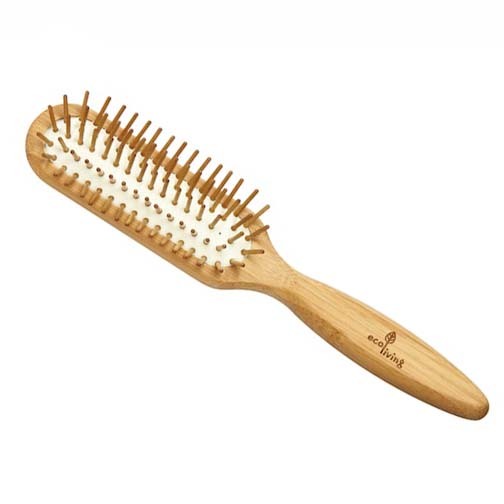 Plastic free bamboo hairbrush. With wooden pins and a rubber cushion. The brush has one pinhole free at the bottom to allow airflow. This is a great brush. Perfect for my curly hair.